You’ve probably noticed that not everyone is a fan of No Man’s Sky. Sean Muray, head of NMS developer Hello Games, couldn’t have been more accurate when he predicted it would be “super divisive” and “not for everyone.” Unsurprisingly, there has been a slew of refund requests from unhappy players, but the chances of getting one seems to vary depending on where you bought it. This weekend brought numerous reports of people getting their money back for No Man's Sky, even in cases where the game had been played for many hours. A NeoGAF post claims users have been able to get refunds from Amazon, GOG, Humble Bundle, the PlayStation Network, and Steam. Receiving refunds from Sony’s PlayStation Store is notoriously difficult; users can request a cancellation within 14 days of purchasing a title, but only if they haven't initiated the download or streamed the game. Here’s the good news: Most players are not thieves. Most players are decent, honest people without whose support there could be no industry. We’re not talking about a consumer product in the factory sense. We’re talking about a work of art. You can’t just treat it like a widget. In forty years of buying tens of thousands of pounds worth of games, to my knowledge, I have not *once* asked for my money back. As a customer and a player before I was ever a developer, I’d only have asked for my money back if the game was broken at boot time. I have no dog in this race. Just my 2p. I’ve been a dev, a pub and a funder for decades, and a player for longer than all of that. Other players reported they were able to get their money back from Steam, even when failing to meet its strict refund rules that state games must have been played for fewer than 2 hours and owned for no more than 14 days. 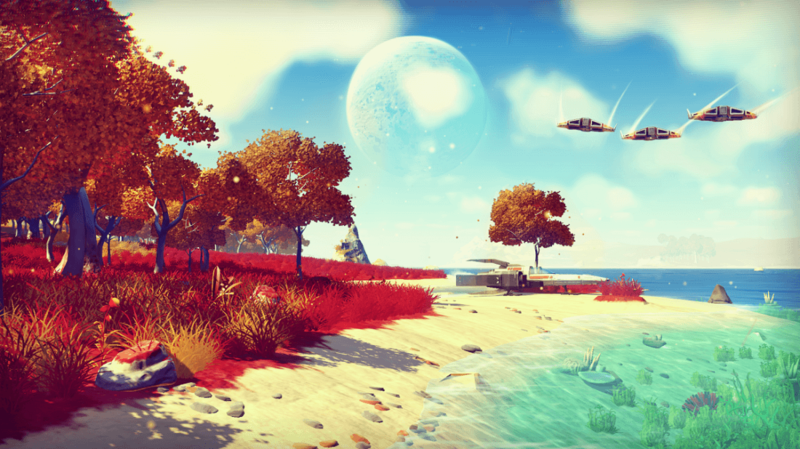 Many players argue that due to the nature of the game, two hours isn’t long enough to discover the number of technical issues, missing features, and various other problems within No Man’s Sky. Patches are currently being rolled that should bring some welcome changes and fixes to NMS. Murray had said that free future updates would introduce new content, such as base building and freighters, but he recently told the Daily Star that it was “perhaps naïve” of him to suggest players wouldn’t have to pay for this DLC. Anyone who feels they deserve a refund for No Man’s Sky should still get in touch with whichever company they bought it from and plead their case. If you haven't already seen it, check out the NMS Honest Game Trailer video below.